When July 1941 began, German army success in Operation Barbarossa was nothing less than stunning. From the Baltic to the Black seas, in ten days German troops had penetrated hundreds of miles into Soviet territory. Soviet leader Josef Stalin’s repeated “no retreat” orders compounded the debacle, condemning one Soviet army after another to annihilation. One such disaster occurred on July 16, 1941, at Smolensk just 120 miles west of Moscow. There about 300,000 Soviet troops were captured, among them Red Army artillery Lt. Yakov Dzhugashvili, the eldest son of Josef Stalin. Yakov was born in 1907 to Stalin’s first wife, who died of typhus seven months later. With the elder Stalin heavily involved in revolutionary communist activities, Yakov was raised by an aunt in Tiblisi. When Yakov left Georgia to live with his father in 1921, Stalin was a top official in the communist government and on the way up. Any benefit from his father’s position was undercut by the fact that the two did not get along. For all practical purposes the sensitive boy and aloof, brutal, paranoid man were strangers. 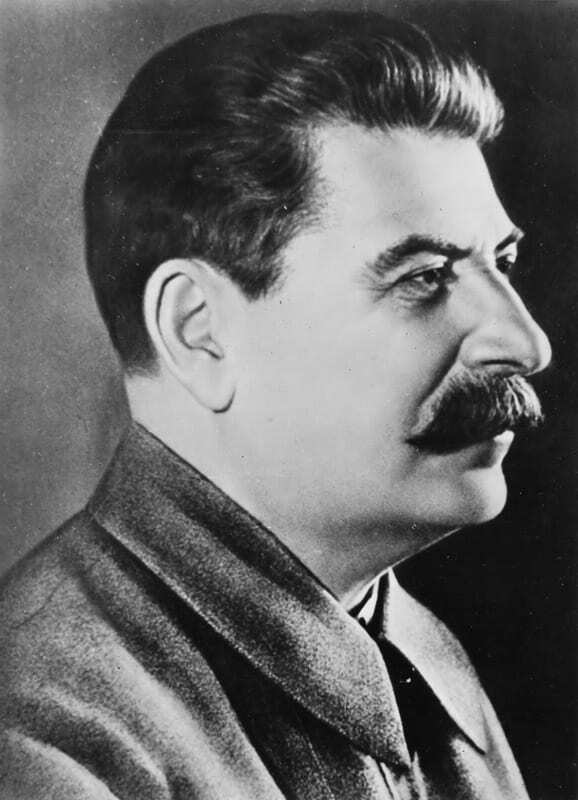 Stalin constantly abused Yakov, both verbally and physically, and also forbade him from taking the last name Stalin. In the late 1920s Yakov began living with Zoya Gunina, the daughter of an Orthodox priest. When they told Stalin of their intent to marry, he flew into such a rage that Zoya fled the Stalin dacha in terror and Yakov, in a state of nervous collapse, attempted suicide, shooting himself with a pistol. The bullet entered his lung and not his heart and while Stalin’s second wife bandaged him and called for a doctor, Stalin, according to one version, walked away, dismissively stating, “You couldn’t even do this properly.” Yakov and Zoya did marry, but it lasted less than two years. It was several weeks before the Germans discovered Yakov’s identity. When they did, they were overjoyed. Leaflets were printed showing a picture of a smiling Yakov surrounded by German army officers. On the back was an exhortation for Soviet soldiers to follow the example of Stalin’s son and surrender. In August 1941 Stalin issued Order Number 270 stating that any officer or commissar taken prisoner was a traitor and would be executed if he returned to Russia. In addition, the prisoner’s relatives were liable for arrest. Stalin disowned Yakov. Yulia Meltzer, Yakov’s second wife, was incarcerated in Lefortovo prison for two years. Yakov, however, escaped that fate. Despite receiving preferential treatment, Yakov did not cooperate with the Nazis. At one point, Hitler offered a prisoner exchange: Yakov for Field Marshal Friedrich Paulus, who had surrendered at Stalingrad. Stalin refused, stating, “I do not trade field marshals for lieutenants.” Years later it was revealed that, despite his public position, Stalin had not truly abandoned his son. He secretly ordered two rescue attempts in 1942. Yakov died in Sachsenhausen concentration camp on April 14, 1943, under controversial circumstances. The Germans released a photo showing his bullet riddled body trapped in a POW fence – an apparent failed escape attempt. Rumors persisted that Yakov was a suicide. In 2000, after a 12-year Russian investigation corroborated by Soviet-German war authority Professor John Erickson, it was confirmed that Yakov was a suicide. The catalyst was the combination of the Nazis’ recent revelation of his father’s responsibility for the Katyn Forest atrocity, where Soviet troops massacred Polish officers, his feeling of abandonment because of Order Number 270, and an argument with fellow British officer prisoners. Overwrought with shame, hopelessness, and anger, Yakov leaped on the electrified POW fence.